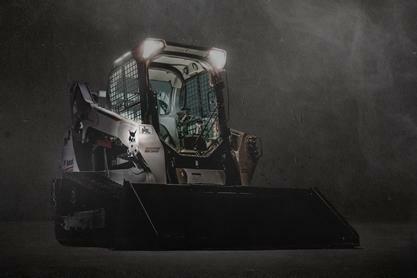 All-around visibility is central to the cab design on Bobcat® skid-steer loaders and compact track loaders. Comfortably see your work from the seat through a single, curved pane of glass that delivers as much as 50 percent more glass surface area than other manufacturers. Powerful lighting gives you a great view for night operation. The cab-forward design moves the operating area closer to the attachment, giving you a better vantage point to see your work.It also maintains excellent rear visibility. The large rear window and angle of the back of the loader provide a great view behind the tailgate. In the cab, you can see the wheels or tracks without having to lift your loader arms. It increases your performance in tight areas, such as grading next to a building or backing onto a trailer. A large window makes it easier to watch the bucket and your surroundings. The top window now offers 34 percent more open area, giving you better visibility when placing material and plenty of access for cleaning the window. And the minimally-obtrusive guarding gives you clear sight lines without sacrificing ROPS and FOPS safety standards. When you can see more, you can do more. With the side lighting kit, you’ll see better in low-light environments, such as snow removal early in the morning, working in dark barns or completing road construction projects at night. Each LED light bar generates 800 lumens of light at 6,000K. Operators can turn these side light bars on or off by pressing a switch inside the loader cab. There’s a huge difference between published specs and real-world testing. 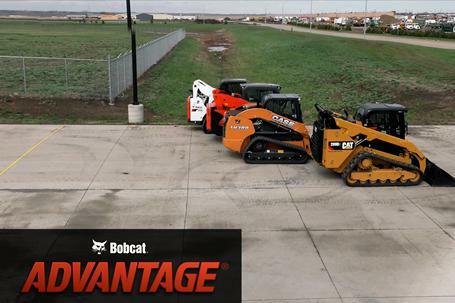 Bobcat Advantage® puts the industry’s top compact equipment brands in tough challenges to show you the differences. Objective tests and competitive comparisons measure up Bobcat, Kubota®, Caterpillar®, Case® and New Holland® loaders. While you’re working on a jobsite or loading your machine on a trailer, rear visibility is key. It’s what gives you the confidence to backup without risking damage to your machine or surroundings. 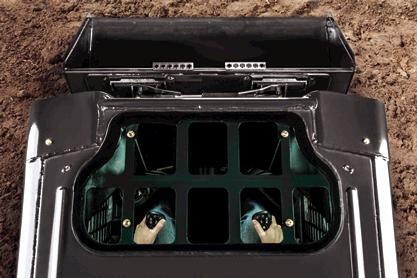 Bobcat loaders are designed with a large rear window and clear sightlines to the back of the machine. However, not every brand of loader affords you the same assurance. Kubota, Caterpillar, Case and New Holland loaders leave you with larger blind spots.